The first trailer is now below for Chan-wook Park's english debut 'Stoker,' starring Mia Wasikowska, Matthew Goode, Nicole Kidman, Dermot Mulroney and Jacki Weaver. After India's (Wasikowska's) father dies in an auto accident, her Uncle Charlie (Goode), who she never knew existed, comes to live with her and her emotionally unstable mother (Kidman). Soon after his arrival, she comes to suspect this mysterious, charming man has ulterior motives, but instead of feeling outrage or horror, this friendless girl becomes increasingly infatuated with him. 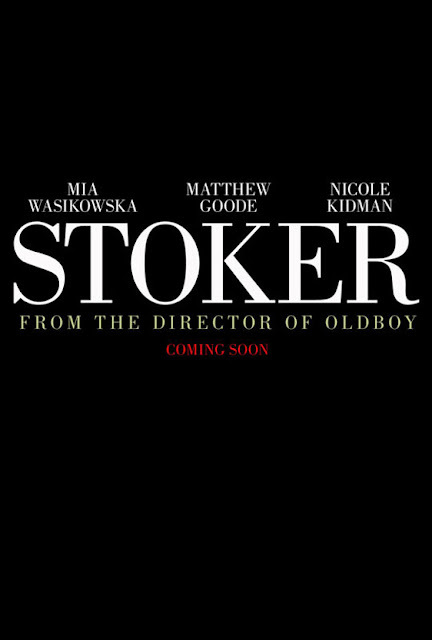 'Stoker' is released March 1st 2013.